Where Are the Green Minorities? As a lead scientist at the Nature Conservancy, one of the richest and most influential green groups in the U.S., Sanjayan fights for biodiversity. The concept is the backbone of the environmental movement, a recognition that the unimaginable variety of wildlife is an essential part of what makes our planet special, and worthy of protection for its own sake. But Sanjayan is worried that the conservation movement to which he has dedicated his life may be overlooking another kind of diversity: racial diversity. An American of South Asian descent (like many people from his native Sri Lanka, he generally uses one name), Sanjayan often finds himself as the only person of color at environmental meetings, in the classroom, even out in the field. Conservation in the U.S.  and the environmental movement more generally  tends to be very white and relatively well off, from the leadership down to the foot soldiers. 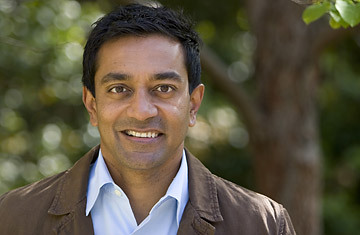 "Right now conservation groups do miserably (in diversity)," says Sanjayan. "That needs to change." Sanjayan himself has always been the exception. Born in Sri Lanka to parents who worked for the UN and the World Bank, he spent much of his childhood in Africa, igniting a lifelong love of wildlife. It was exactly the kind of experience, he notes, that few minorities and immigrants in the U.S.  more likely to be living in urban areas isolated from nature  would ever have. Still, growing up Sanjayan says that there were few if any role models of color in the conservation movement for a young South Asian like himself. David Attenborough, Jacques Cousteau: all great conservationists, all white men. "If you don't see someone you can identify with yourself as a kid, it can be hard to imagine yourself in that role," he says. "I think that has a big impact." Sanjayan admits that being the only brown face in the room, as he puts it, has probably been as much of an advantage for his career as a detriment. People remember him from the blur of conferences and meetings. In international field work, not being white can make it easier to gain the trust of local populations  Sanjayan recalls an early field trip to an African nation in the wake of apartheid, when being white meant earning instant suspicion. But he admits to being troubled that at a time when the U.S. may finally be ready to elect an African-American to the Presidency, the country's major environmental groups have yet to be led by a non-white. "It's pretty surprising, and at the same time, not surprising at all," says Sanjayan. The Nature Conservancy scientist would like to see green groups take more aggressive steps to diversify their workforce, identifying promising young minorities who are still in school and actively recruiting them. That's worth pursuing. As America itself grows more diverse, the environmental movement risks irrelevance if it remains largely white and elite. "We need to communicate to all of our constituents," says Sanjayan, "and we'll do a better job of that if we have a range of voices in our own organization." Diversity becomes even more important as the environmental movement tries to tackle truly global threats like climate change. If Americans remain convinced that only rich, white liberals can afford to worry about global warming, we'll never achieve the political unity needed for meaningful action. Fortunately, there are already signs that the green movement can be more than just white. At home in the U.S., a new crop of African-American activists like New Yorker Majora Carter and Oakland-based Van Jones are adopting environmentalism, fighting for clean air and water in the inner city or green jobs for the underemployed. Around the globe, Sanjayan notes, U.S. environmental groups like the Nature Conservancy have put local staffers in positions of authority. But more can and should be done. "As a conservation community, we badly need to do this," says Sanjayan. Diversity  in all its forms  should be a green goal.